Looking forward to visiting Barcelona? You have arrived to the ideal place to help you plan a visit to the city that defines the “Mediterranean way of life“. Barcelona is the capital of Catalonia and the second largest city in Spain. Owner of a rich cultural and architectural heritage, it’s one of the current world leading cities in tourism, sports, culture and entertainment. To begin with, every section in our guide is organized into categories with information on accommodation, sightseeing and practical info. Should I book a Hotel or an Apartment? Which neighborhood should I choose to stay in Barcelona? Hotel – Lowest rate guaranteed – Pay upon arrival. For a medium sized city, Barcelona has a huge amount of renowned monuments that it’s hard to match. Where else can you find buildings like Sagrada Familia, Montjuic, or Plaza Espana to name a few? The city is home to the amazing creations of catalan architect Gaudí, like Casa Batlló. 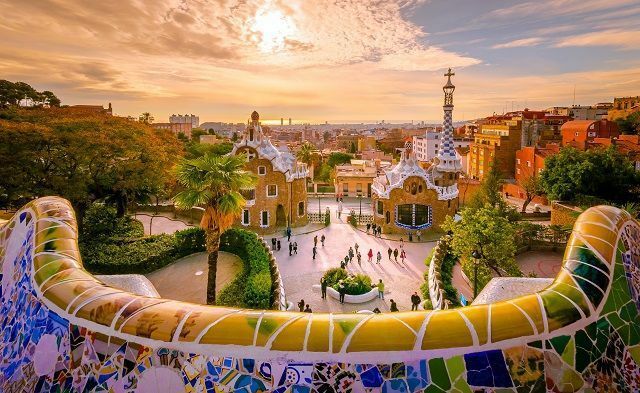 Millions of visitors come each year attracted by lovely neighborhoods and famous streets like La Rambla, amazing food markets or the best city beaches in the world. Nothing parallels the thrill of watching the matches of the Barça Football Club, tasting the best and Spanish Cuisine or enjoying a night out in Barcelona. However, Barcelona is much more than that! In Barcelona N’ Do we provide first hand information in order to help you find the right formula for the Barcelona you’re looking for. First of all, learn how to move around Barcelona in our Transport section. Check out how you can save money with the Aerobus when travelling to the airport and other options available. As practical it can be, the Barcelona Pass (valid for 2 or 3 days) includes free entrance to more than 20 top attractions in Barcelona. On a similar note, the Art Ticket Barcelona gives you access to six different museums for a 30€ price. The Barcelona Football Club is recognized as one of the best in the world, and a visit to Barcelona without taking part in a match is a crime. Buy tickets for the Camp Nou Barça FC Stadium & Museum, the largest stadium in Europe, and join one of the biggest traditions in town. Finally, indulge yourself to a shopping spree when you visit Barcelona. Most department and retail stores offer strong discounts during the winter and summer sales season. Find the answer to all these questions in our website, in English!